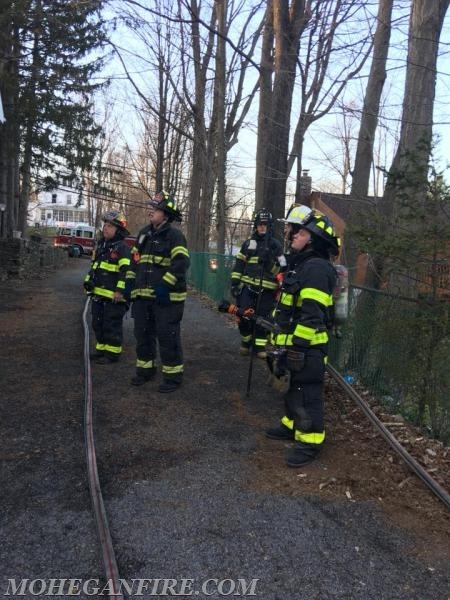 At approximately 6:30pm tonight Saturday 4/21/18, Mohegan FD was dispatched to a reported structure fire on Strawberry Rd in Mohegan Lake. The fire, which was called in to 911 by a neighbor was one of a few reports that were being reported of this fire. As units were leaving the Fire Headquarters, a passerby driving on Rt 6 flagged members down and also advised them of a house fire on Strawberry Rd. 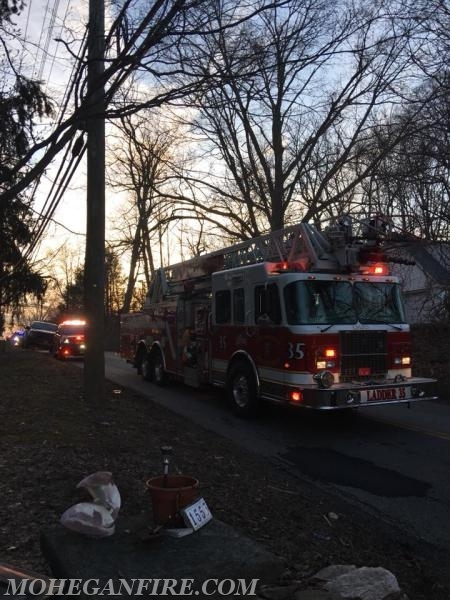 First arriving Yorktown Police Department Patrol units also confirmed a working structure fire, with good samaritans aggressively knocking on the homeowners front door to alert them of the fire. While enroute, Engine 257 also confirmed visible fire showing in the rear of the residence from Rt 6. 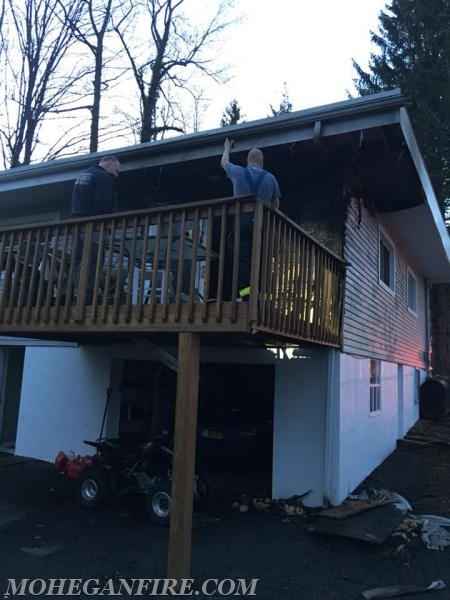 Upon arrival, members found smoke showing with heavy fire advancing from the deck area and up the rear and side of the residence and into the soffit. The 10-75 was transmitted upgrading this to a first alarm working structure fire, with mutual aid units also assigned. 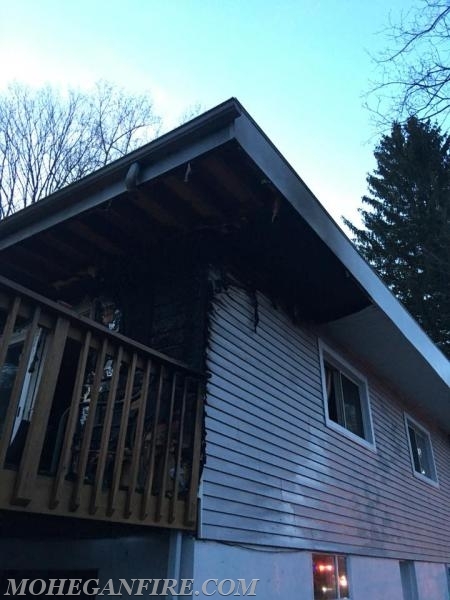 The vinyl siding on the residence was quickly advancing this fire. Members quickly stretched one 1 3/4” hoseline from Engine 257 and quickly knocked down the fire. Ladder 35 stood by in front of the residence and Engine 256 stood by at the closest hydrant. Other members began to overhaul and check the interior for any further fire spread. 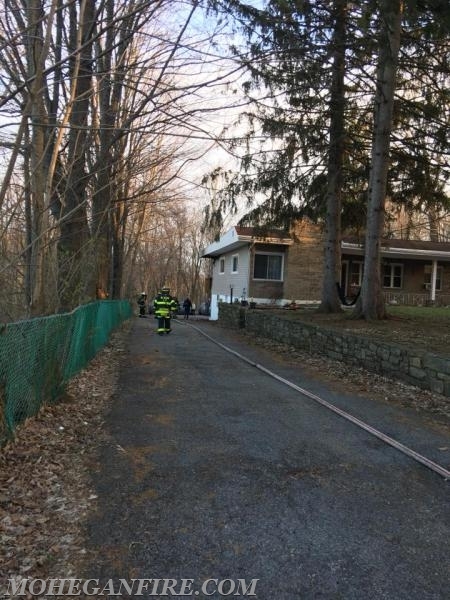 The bulk of the fire was contained to the exterior with some extension found into a wall in the rear of the residence. With the fire quickly extinguished, all incoming mutual aid was cancelled enroute. Putnam Valley FD’s FAS-Team, Peekskill Volunteer Ambulance Corps’s Rehab Unit, and mutual aid relocate units returned to service. 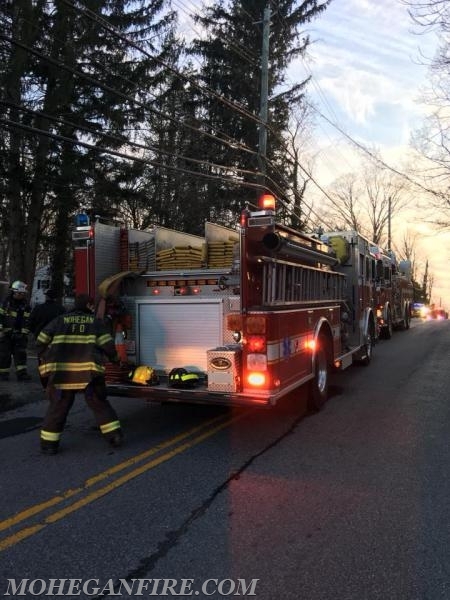 Mohegan Volunteer Fire Association Volunteer Ambulance Corps 69B3 transported 1 member to NewYork-Presbyterian Hudson Valley Hospital with a minor injury, while Yorktown/Empress Emergency Medical Services Paramedics assisted on scene. Also assisting on scene were Westchester County Dept of Emergency Services Battalion 17 and the Cause and Origin Team, The Town of Yorktown Building Dept, and Con Edison Electric. 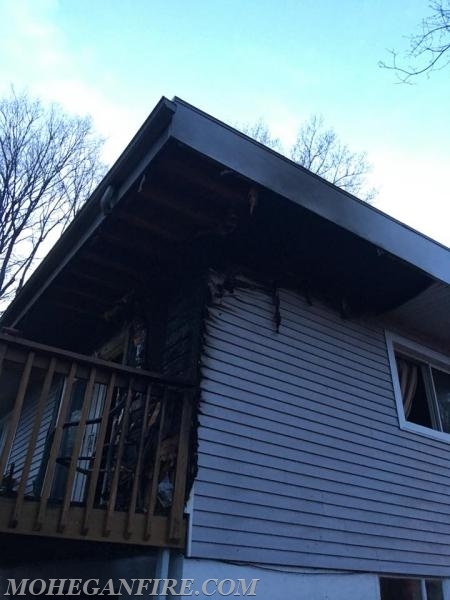 The fire was deemed accidental and the residence was currently uninhabitable for necessary repairs. All units cleared the scene by 8:45pm.